Motoman's robot refurbishment program is a great way to extend the lifespan of old robots. Trent Woodzell, senior technical support specialist at Yaskawa kindly took a few minutes at the Automate show today to explain the service, which results in costs 30-50% less than those associated with buying a new robot. 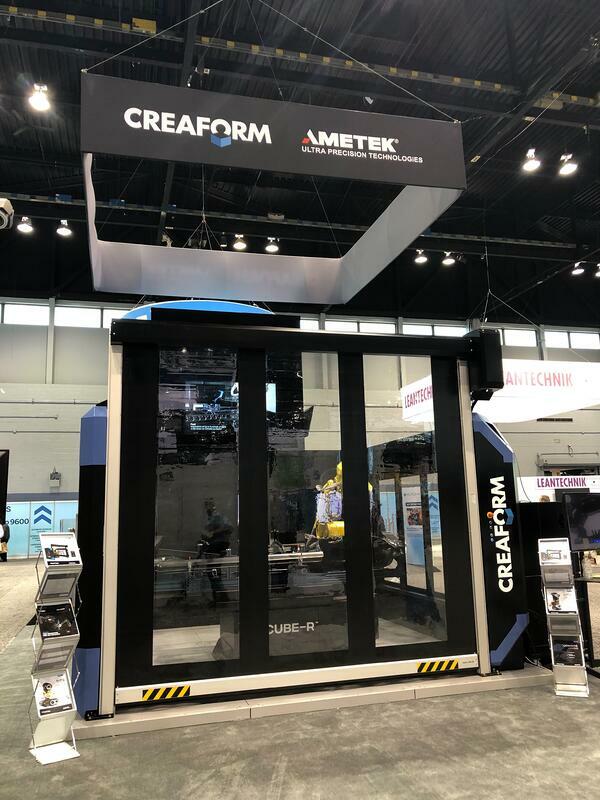 Creaform's CUBE-R is an impressive automated scanning and measuring machine featuring MetraSCAN 3D-R, an optical 3D scanner. We like that the MetraSCAN 3D-R can easily be integrated into existing factory automation systems. This machine is designed for quality control and inspection applications and can handle parts 3m (9.84ft) long and payloads of up to 1000kg (2204lb)! 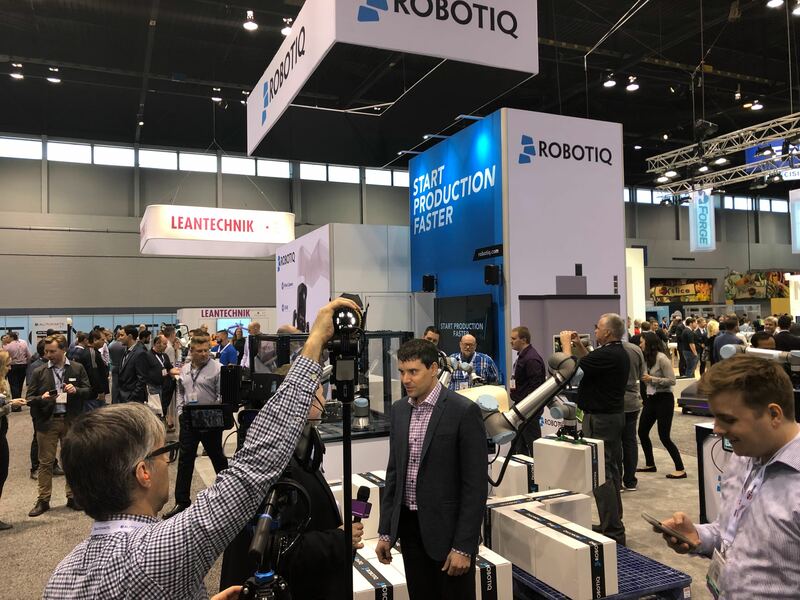 Motion planning specialist company Realtime Robotics launched its RapidPlan product today, so we stopped by their booth (#9649) to check it out. 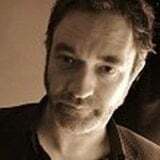 "Automation professionals know that more automation is the key to increasing productivity and lowering costs; they also know that today’s robots are limited in terms of speed and safety,” said Peter Howard, Realtime Robotics’ CEO. “Our collision-free motion planning solutions allow robots to perform safely in dynamic, unstructured, and collaborative workspaces, while instantaneously reacting to changes as they occur." 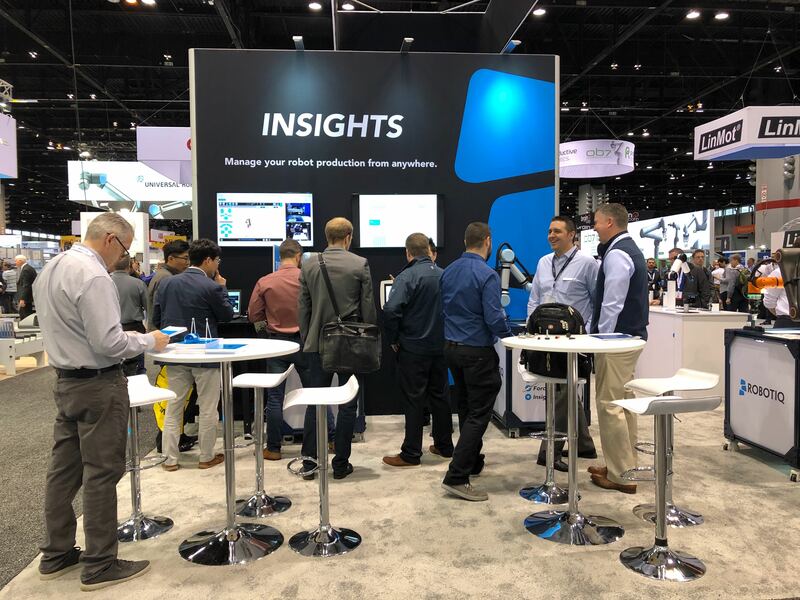 Mobile Industrial Robots (Booth #7368) has just launched the MiR1000 collaborative autonomous mobile robot and, like many visitors to Automate, we've been wowed by its strength and intelligence. The MiR1000 can automatically pick up, transport and deliver pallets and other heavy loads up to 1000 kg (2200 lbs) through dynamic environments. Like the MiR500, introduced in 2018, the MiR1000 is a collaborative, safe and flexible alternative to potentially dangerous and expensive fork lifts on the factory floor. MiR is also releasing another industry first-artificial intelligence (AI) capabilities across all of its AMRs for improved navigation. We also like that the MiR1000 can integrate different top modules from pallet lifts and conveyors to cobot arms, further extending its range of potential applications. 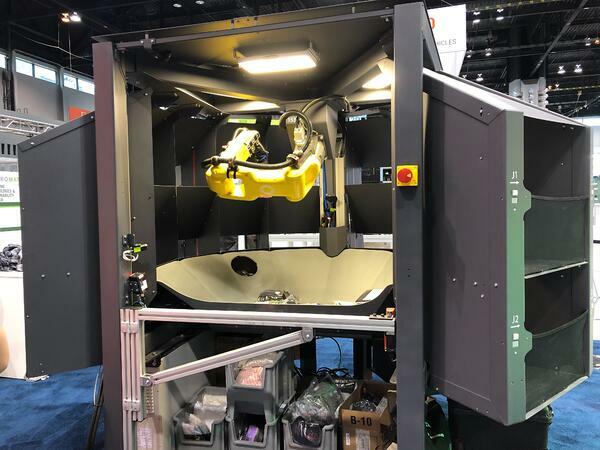 Kindred's SORT (Booth #N6351) is an advanced piece-picking robot for order fulfilment and other applications. We like that it integrates with existing infrastructures and warehouse management systems. Coming Next: Highlights from Day 3, including video of our Insights software demo!